"You can smell the salt in the air only when you were far away, far too long." 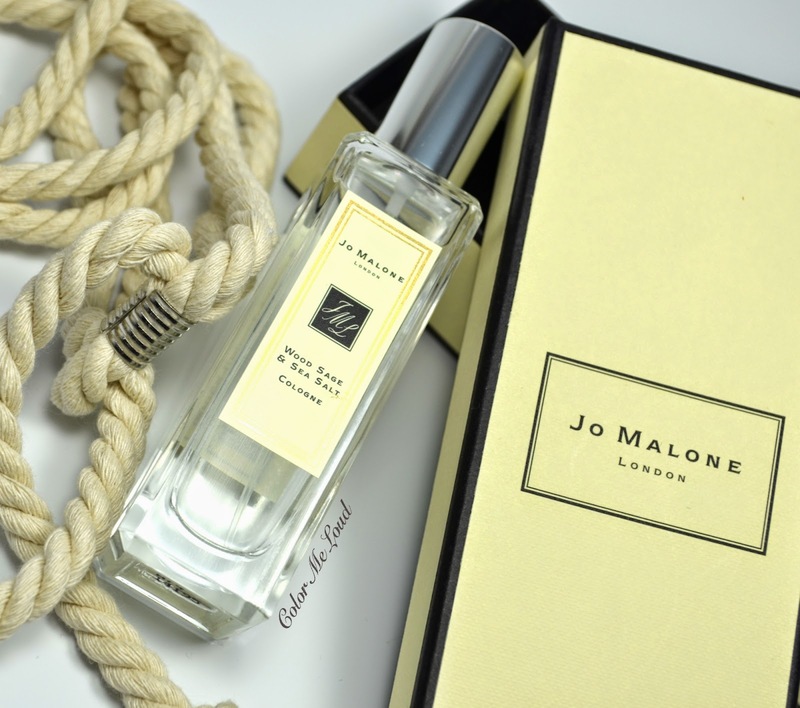 Jo Malone's newly release fragrance Wood Sage & Sea Salt spiked my interest because of my constant longing for sea climate, the fresh breeze and salt in the air. I love the detail in the packaging. Although the flacon comes in Jo Malone's chic carton box as usual, instead of a ribbon the box is wrapped with a sailor's rope. 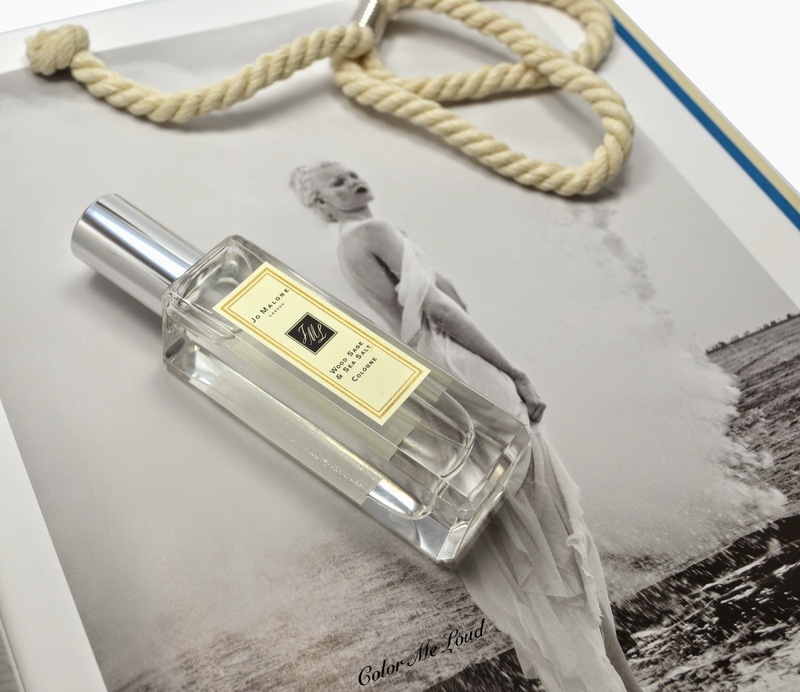 The nose behind Wood Sage & Sea Salt is Jo Malone's regular perfumer Christine Nagel, who now left the brand and joined Hermes as an in-house perfumer. Wood Sage & Sea Salt opens with a kick of citrusy freshness of its grapefruit notes. Soon after I can smell the salt on my skin resembling a breeze from the sea. This phase of the perfume makes me happy. Since it has nothing fruity or exotic, it doesn't give the feeling of a summer holiday beach but as dry and woody it is on my skin, I can relate the scent with a coastal feeling, waves beating the rocks as the breeze messes up my hair. To me Wood Sage & Sea Salt is rather a linear perfume, which has a complex opening and a unique scent all along. As the citrusy opening slightly gets more woody with a ghost of sage appearing and vanishing yet reappearing, it might smell a tad spicy from time to time. As the musky base uses herbal ambrette, it has a tad of floral feel to it too. Very well blended, these notes never steal the scene to make this fragrance their own, make Wood Sage & Sea Salt one of the most complex fragrance of the brand. Similar to most fragrances of Jo Malone, Wood Sage & Sea Salt is not particularly long lasting and it stays close to skin. On me I can notice it for 2 hours and smell it for 2 more hours. I would classify its sillage is moderate. I believe both men and women would enjoy this fragrance alike. I have been a enjoying Maria Candida Gentile's Finisterre (reviewed here) which was my go-to fragrance this summer. I was asked how these two fragrances with similar themes compare. The sea notes in Finisterre is mainly coming from Ambergris, freshness provided by pine tree notes as during the dry down Sandalwood is pronounced. Wood Sage & Sea Salt on the other hand has a herbal musky base. Freshness comes from citrusy notes as our noses are more used to it, I would give a thumbs up to Finisterre to be more unique in this aspect. I prefer the blend of sea salt with woody notes on Wood Sage & Sea Salt though. Since the compositions and percentages are different it is hard to compare longevity, Finisterre stays up to 12 hours on me. Final thoughts: Subtle and short but complex and unique, Wood Sage & Sea Salt is a great fragrance for those who are in search for something different for upcoming fall and for those who miss a breeze from the sea, as long as they don't mind reapplying after a few hours. Have you tried Jo Malone's new fragrance? 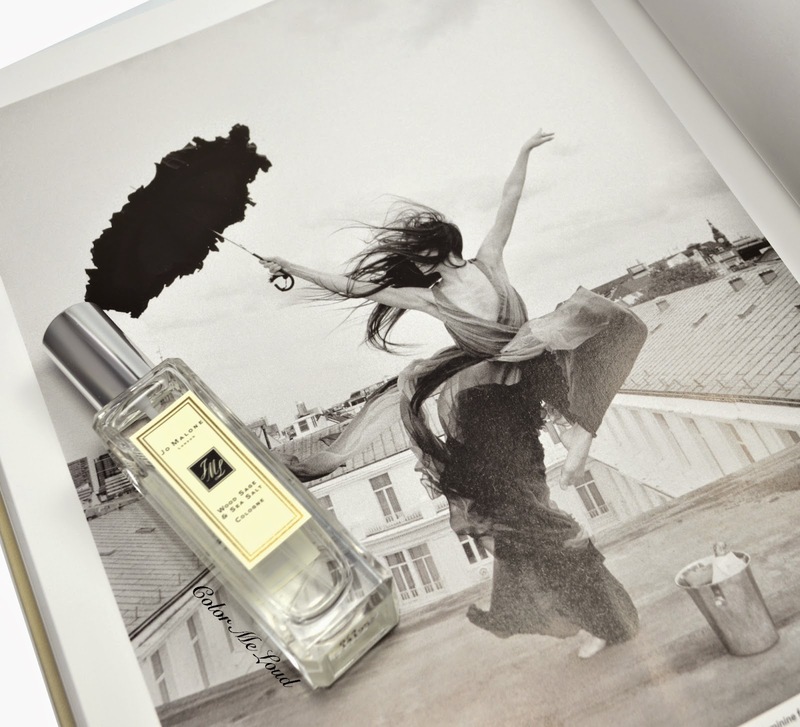 How important do you think longevity of a fragrance is? Hey Sara, I'm leaving the comment again because Blogger ate the first one... (I figured out it's not that I can't leave comments. It's just that the first one gets eaten for some reason). I am so sorry that you are having issues with leaving comments to blogger :-( I miss you comments. Now I remember I had a similar issue and what I did was I was copying the comment I have written before I hit publish, it would get lost. Then I would paste the comment again and click publish once more, then it would work. So strange. A few times I would forget to copy it and would almost dump my computer out of the window for loosing all my comment lol. I was very surprised to read that it lasted to long on you, you are so lucky!! I am so happy to hear that you liked the review. I am a fragrance lover but started reviewing them here just yet, so your feedbacks are so important for me. You are right about reapplying, each time you are like mmmm I love this especially when the top notes are good. I didn't really like the scent the first time I tried it, but it completely grew on me, and reminds me so much of my childhood growing up closer to the sea and being surrounded by damper woods. Sadly, this only lasted me around 3 hours. Am tempted to pick up the body creme though. We have similar motivation in liking the scent, it reminds me of my childhood too. The longevity is really an issue here, you are right. If it would last longer, it would be one of my favorite fragrances all time. Wunderschöne Review... ich würde den Duft gerne an Dir riechen. Bei mir ist das Holz leider sehr, sehr zart... ich hatte es mir etwas herber und rauer gewünscht. Aber es ist ein sehr schöner, subtiler Duft an mir. Mineralisch, ohne hart zu sein. Ganz liebe Grüße!